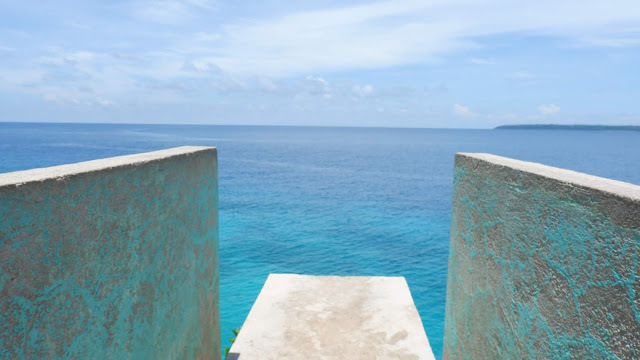 SIQUIJOR ISLAND | During my solo travel last summer, one island I wouldn’t miss for anything was to visit the tourist spots in this paradise island called Siquijor. 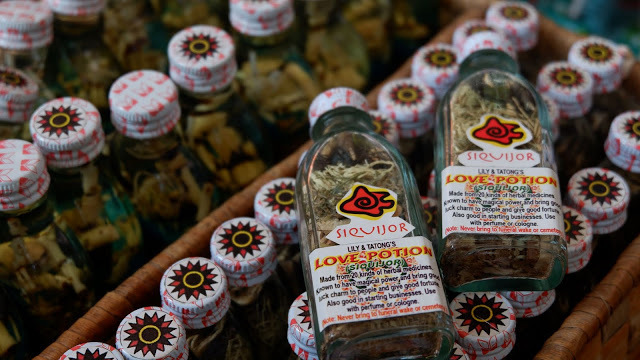 It used to be known locally as the island of mysticism and black magic, but the perception of people is slowly changing it to a must visit destination in the Philippines. 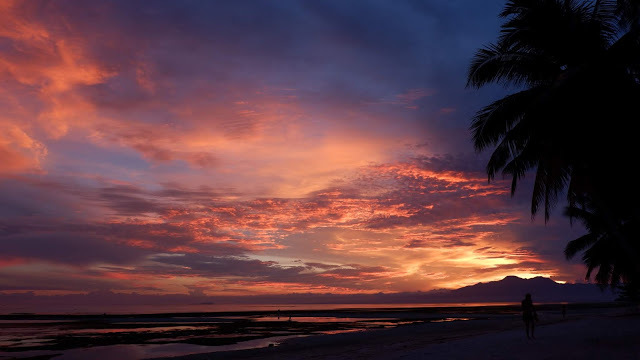 You can fly to Dumaguete from Manila. 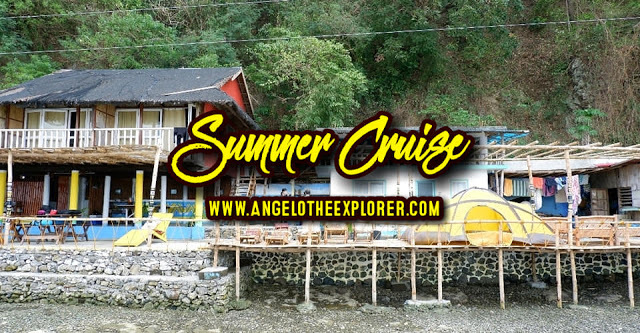 Coming from Dumaguete, it was so easy to catch a ferry that took only 1.5 hrs at most. 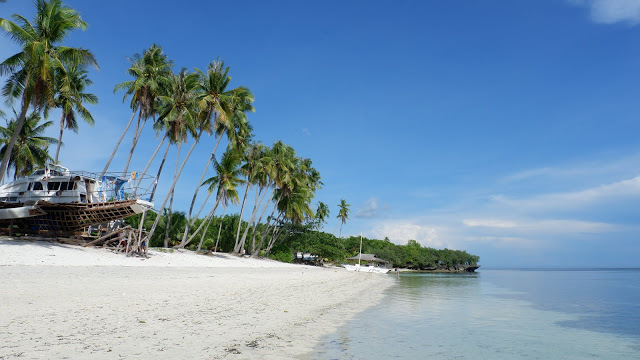 It was a hot and sunny day when I arrived in Siquijor and immediately, I was amazed at what welcomed you at the port…a white sand beach! 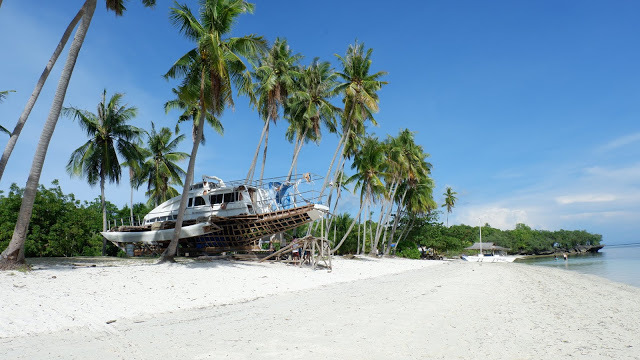 This may seem all normal with the locals, but for a tourist like me, I had just landed in paradise! I could not wait to see what else the island had in store for me. If you are looking for resorts, you will find most of them around the SAN JUAN area which is about 45 minutes away from the port. I just asked for a habal-habal who agreed to a good price and took me to JJ’s Backpacker. 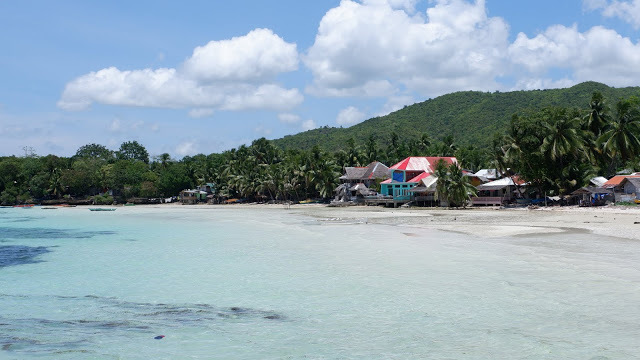 The place was very affordable, the owners and staff were very friendly, my room was clean and comfortable, and the beachfront was beautiful. Just a few meters walk from the port area, you will find one of the oldest churches on the Island. 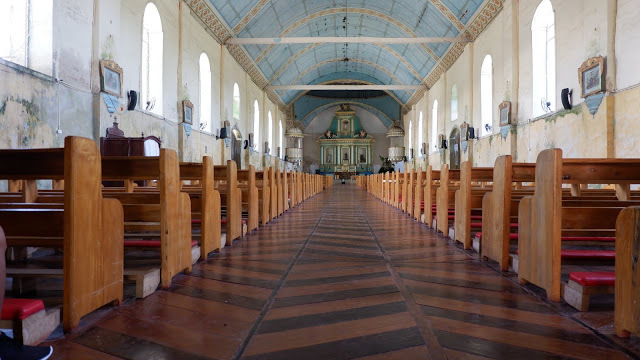 Built in the 1700s, this church is a living witness to the growing popularity of the island. 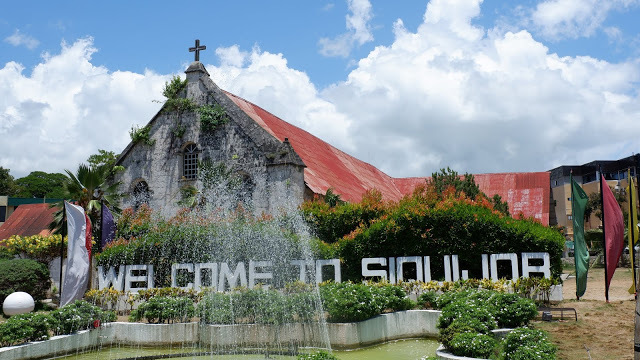 One of the most photographed too because of the WELCOME TO SIQUIJOR sign. So when you arrive, take a quick a photo here before you head to your next destination. 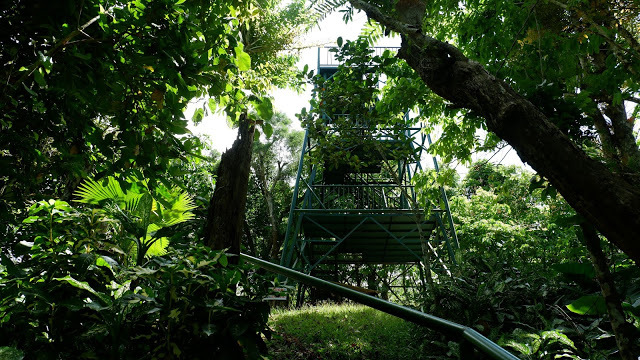 Located also in San Juan, close to where I was staying is the Capilay Spring Park. 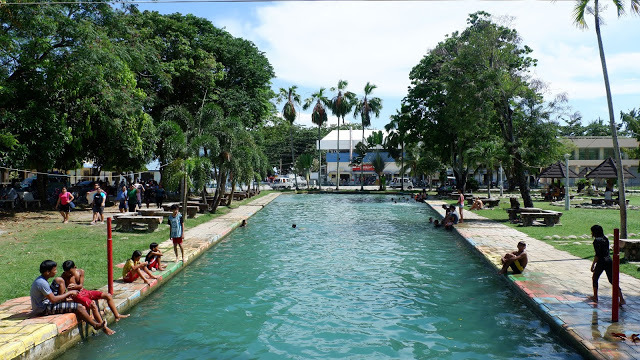 Located in the heart of San Juan town, this is favorite place for locals and tourists to cool down. The water is so clean and you still find fresh water fish swimming in the pool. 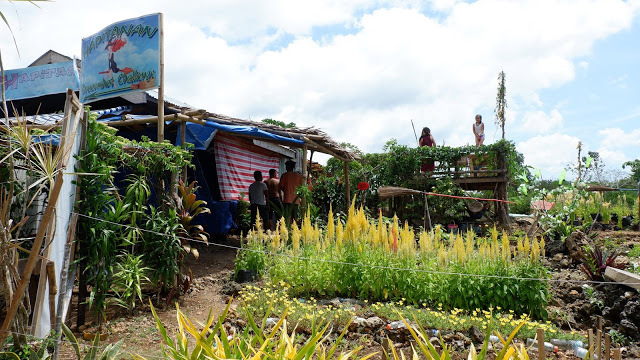 A few meters away from the Capilay Spring Park you will find the local town market. Next to it, you will also find a canal where locals wash their clothes. It was so interesting and the water is also very clean since it also comes from the spring. This is where I decided to go for a swim instead. Lol…. In search for less traveled destinations on the Island, the guide brought me right into the forest and found this lagoon. 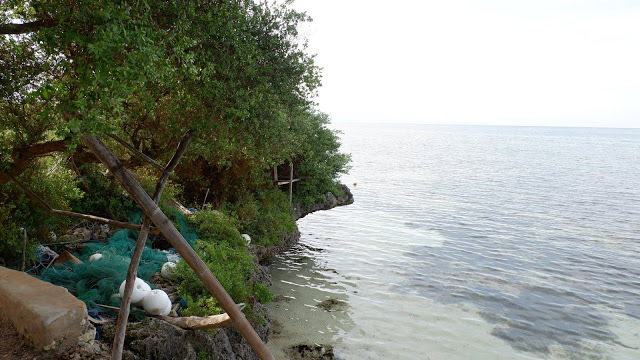 There is a small nipa hut made by the locals and a dive platform made from a coconut lumber adding more fun to your visit. The water was clean and it was cold and refreshing. I really had a great time jumping and swimming around the lake. Just be careful because it was quite deep. Either you wear a life vest or just swim cautiously. At first I thought it’s a place where I could swim but I was wrong. 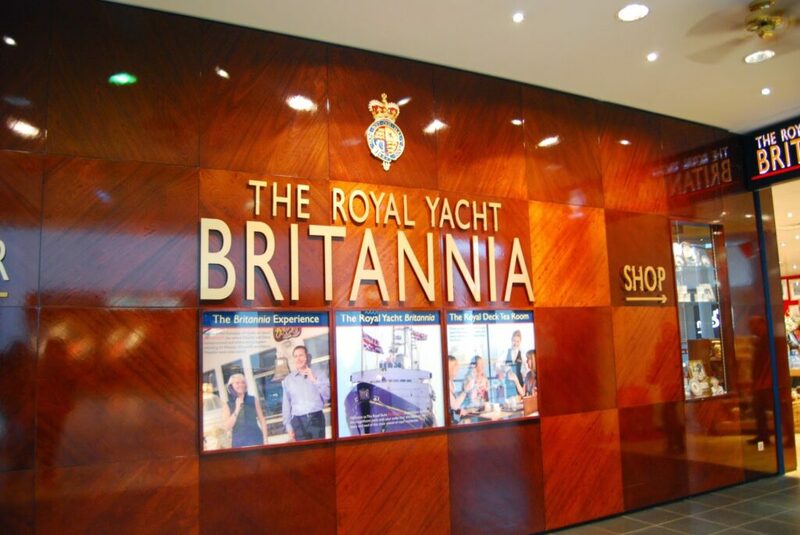 This is a place to visit if you are looking for some therapeutic benefits. 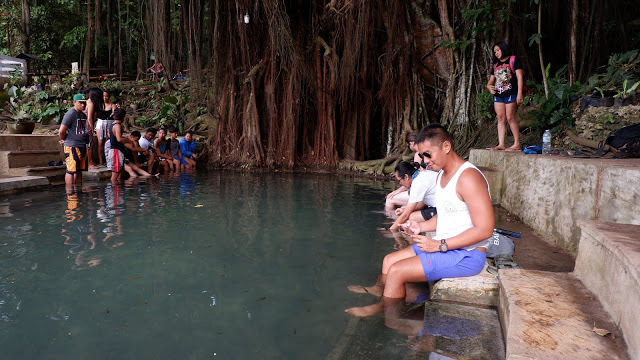 Right next to the huge Balete tree, people can sit on the side and let the fish do their job. 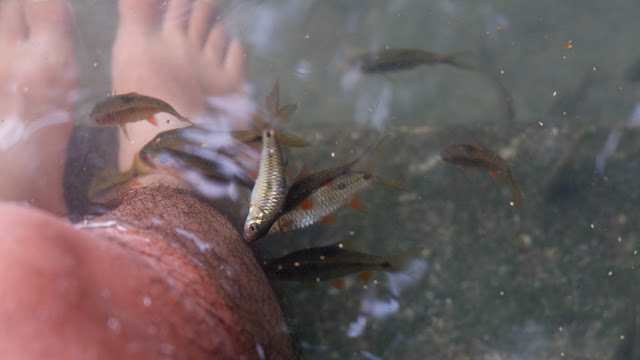 Once you put your leg or arm, they will immediately come and clean all the dry skin you have. I have a small eczema spot here, so they attacked it. It felt weird at first specially the tingling part, but you get used to it in the end. 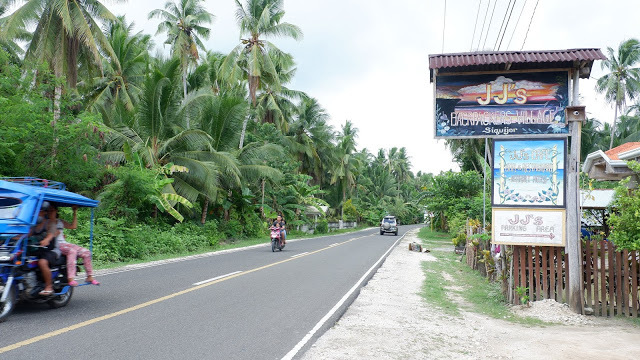 Next to the Century Old Balete Tree, this is also a great place to buy souvenirs to give your family and friends. 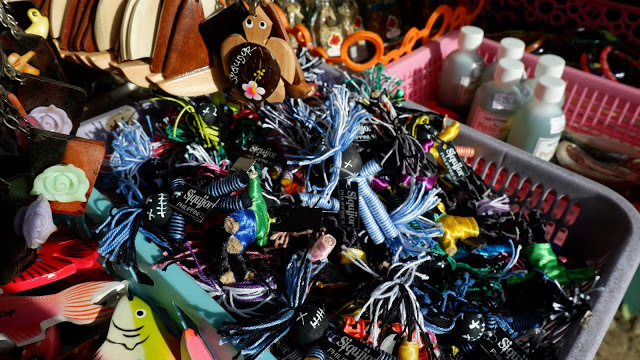 They’ve got potions, key rings, shirts and many more in the area. 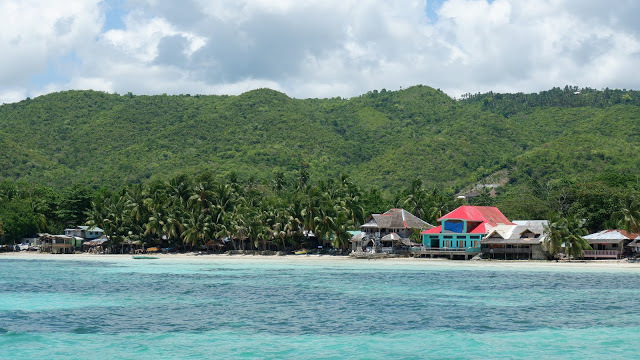 The Island of Siquijor boasts a rich marine life. 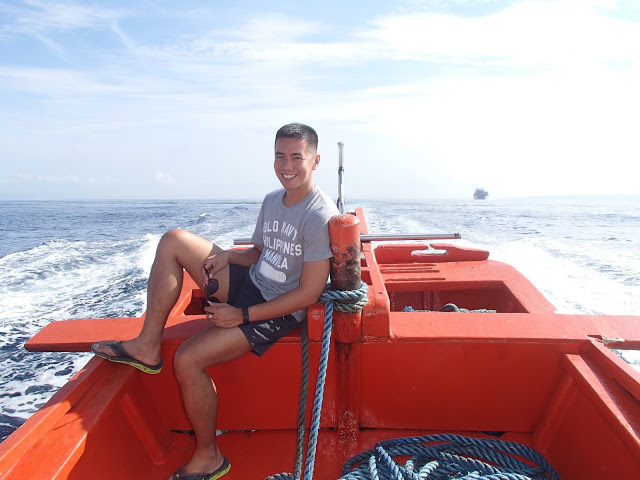 I also like the fact that there are so many marine sanctuaries scattered around the island. 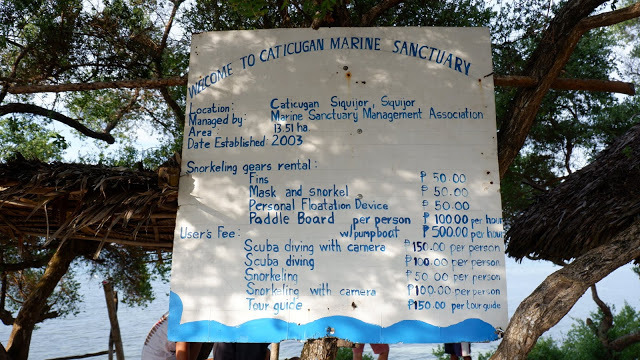 One of them is the Caticugan Marine Sanctuary managed by the Marine Sanctuary Management Association. I told my myself that I wanted to go to a beach that is FREE, where I could walk around, relax and just enjoy nature. Well I found it! 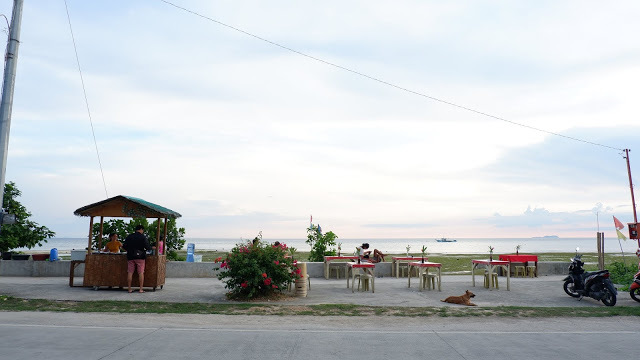 Though there are some resorts around this area, this is still a favorite place for locals to hang out. I wish I could swim but I was also amazed to see the white sand beach during low tide. The beach was beautiful and one of the best beaches I’ve seen in a long time. 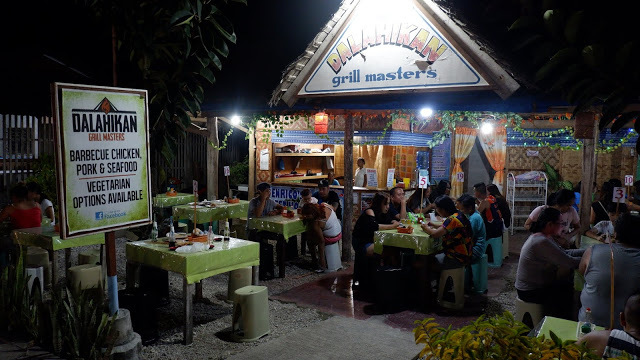 One of the best dining experiences one could have on the island is found here at 5:00 pm while watching the sunset and enjoying the home cooked meals. 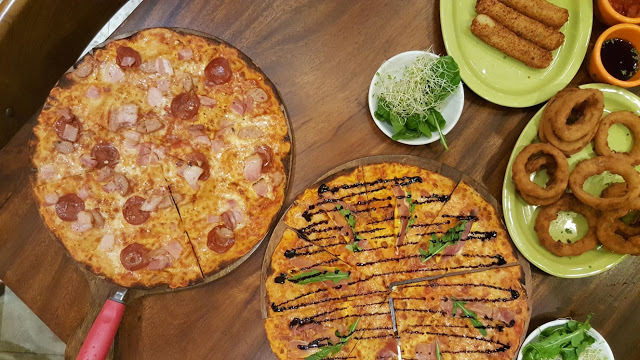 They serve affordable local and international cuisine. 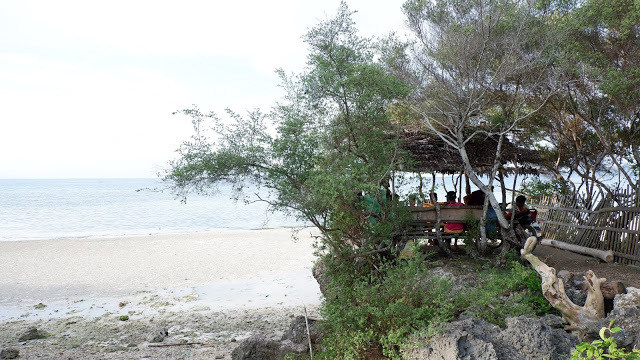 The owner said they cooked different dishes everyday It’s a great place to have a bottle of beer or wine while enjoying the sunset. A great place to cap off a great adventure on the island. 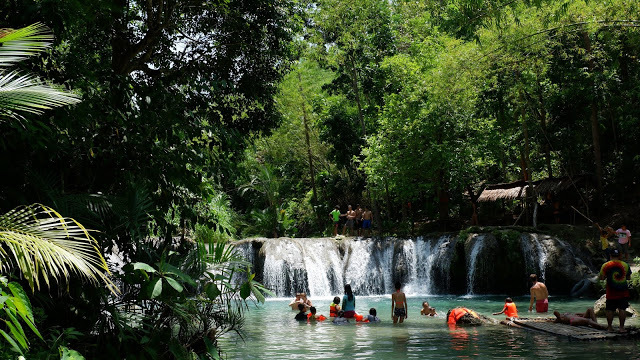 Aside from the beautiful beaches, the Island of Siquijor also has a lot of waterfalls to explore. One of them is the Lagaan Falls. After a good breakfast at the resort, we left very early and visited this falls. Since we arrived at around 8:00 am, I was the first visitor in the area and I got to enjoy the entire falls to myself. You can swing, slide, or just swim in the crystal clear water of Lagaan Falls. I walked around and found this log in the middle of the river which I thought a great place for a photo shoot. It was an amazing and a very relaxing place to be. The people and the caretaker were also very friendly. 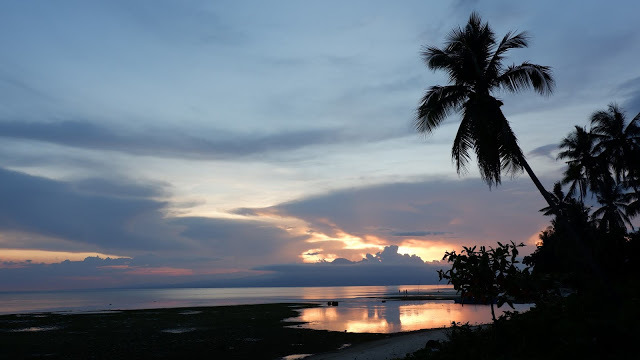 Siquijor Island is now becoming famous because of the beauty of this island. But I remember when I was young, I always heard of the witchcraft and other black magic going on the island. 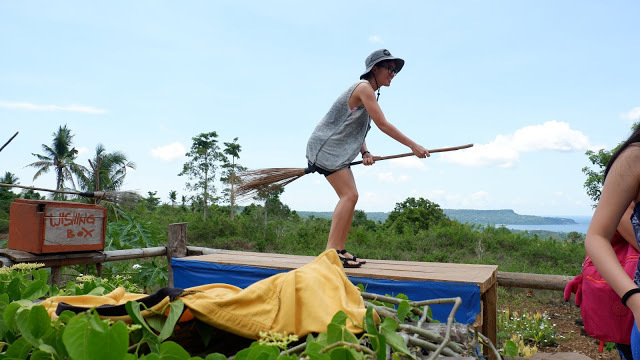 This small cafeteria in Hapitanan will make your fantasy of flying on a broomstick a reality. 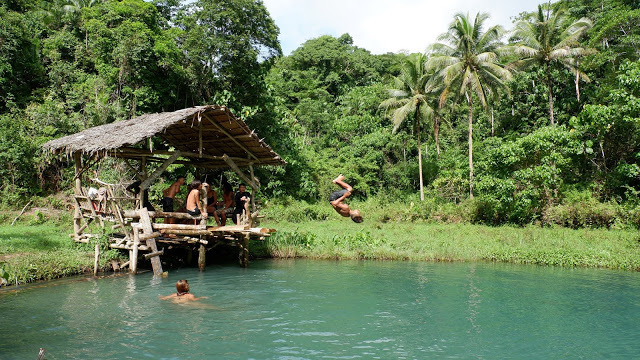 With the correct camera angle, expect a great photo that will make you remember how fun it was in Siquijor. 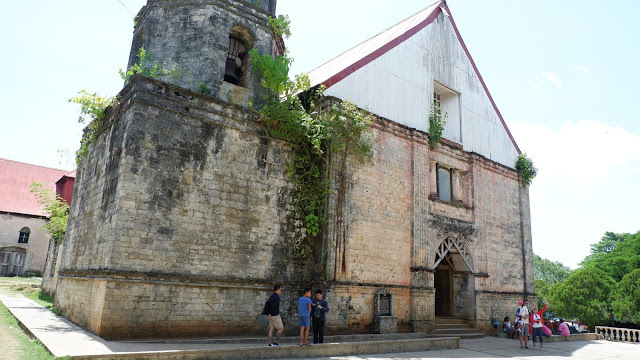 One of the oldest churches in Siquijor, anyone who visits this church and convent would surely appreciate the beauty and the old charm of the church. 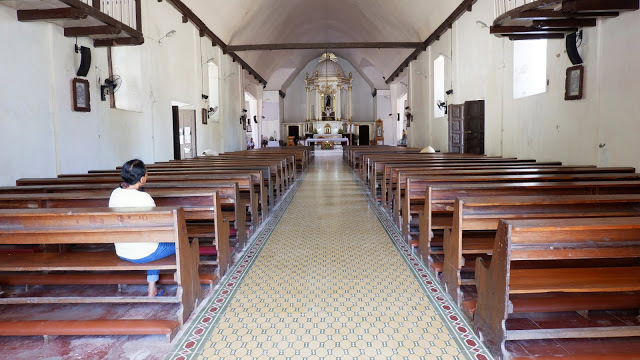 It is also very seldom that we also find a church with a wooden floor. Right across, you may also check on the convent. 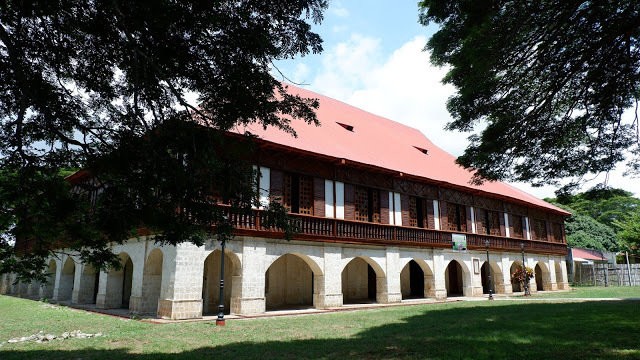 The entrance fee is Php 30.00 to get in and take photos. 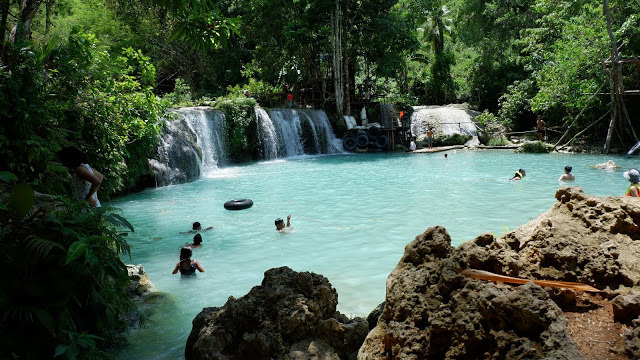 Not far from the the church and the convent, is one of the most famous waterfalls in the island is this 3-tiered waterfall of super clear water adding to enchantment of Siquijor. The visit to the falls is free but requires a bit of walking down and up. But once you are at the falls, you will realize that it’s worth every step. It’s really an amazing place! 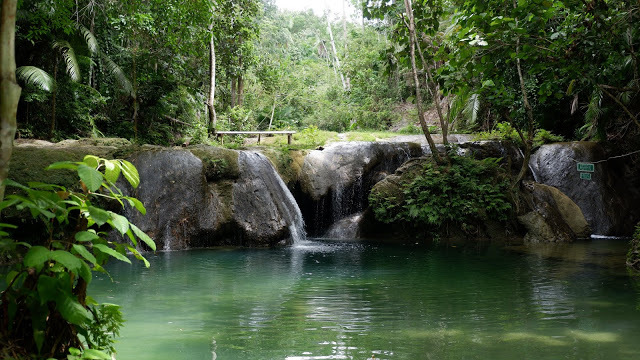 You can also swing , swim and just enjoy the lush scenery around Cambugahay Falls. 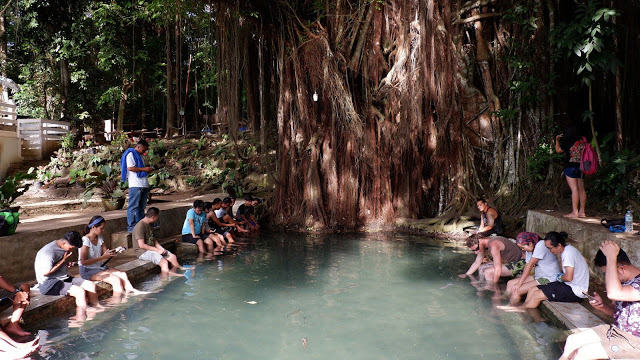 Another remote and I consider a piece of gem on the island is this water spring in Capalasanan, Lazi. 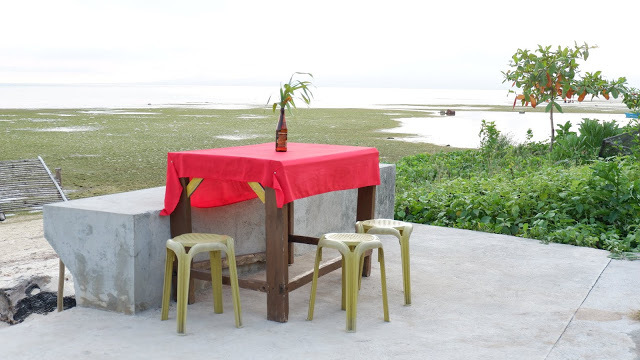 Though this may look normal to the people of Siquijor. But for a tourist like me, this place is stunning. Together with the kids, I was the only tourist in the area. 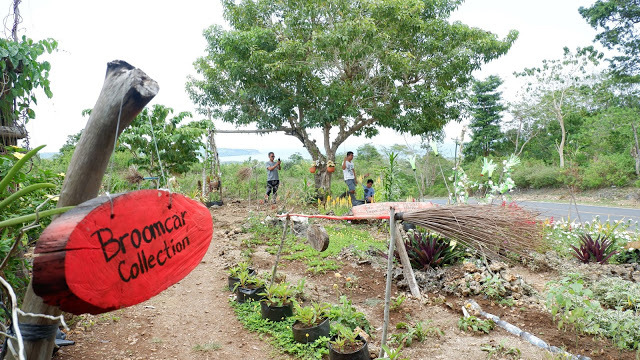 The water that comes out from the cave is being used in farming by the locals. I was really surprised with everything. This made me love the island more. 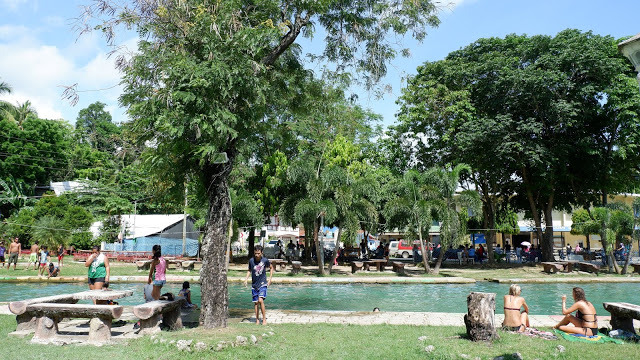 Not far from the cave, you will find this fresh water lagoon that is used by the locals to wash their clothes. Yes! They wash their clothes here! I couldn’t believe it but you can see the soap packets on the side. The water comes out from under that rock so it was clear and super clean. 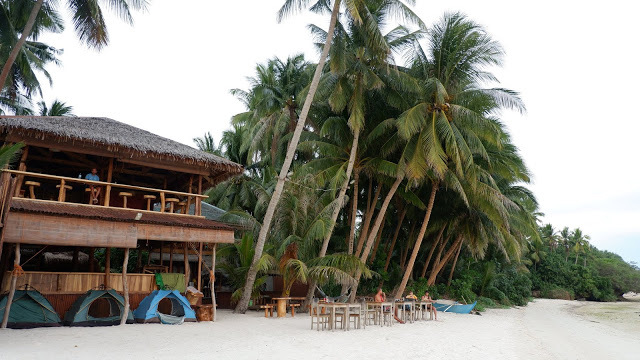 If you want to see more of the island from above, Camp Bandilaan is the place to be because it is considered as the highest peak in Siquijor . 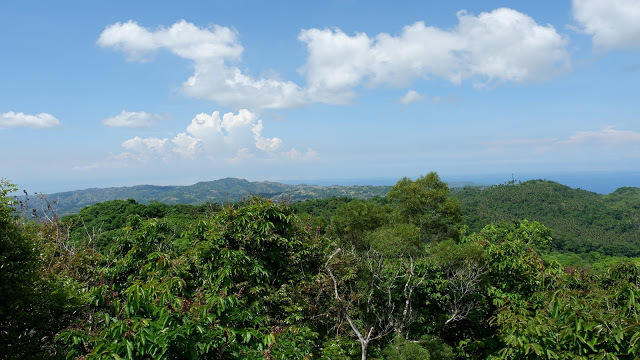 The view from the top gives you a 360 view of all the major towns of the island. Just watch your step because it is quite steep. 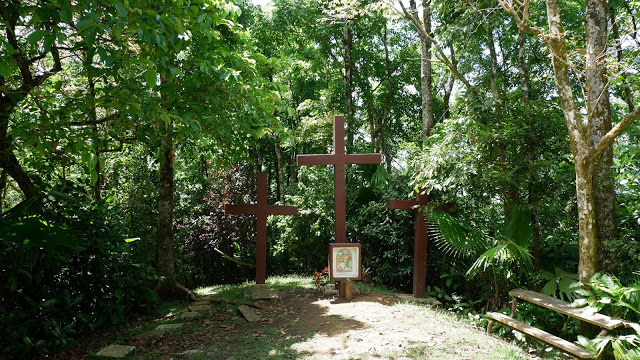 Next to the viewing deck, you will also find crosses which I presume are very famous during Holy Week season. 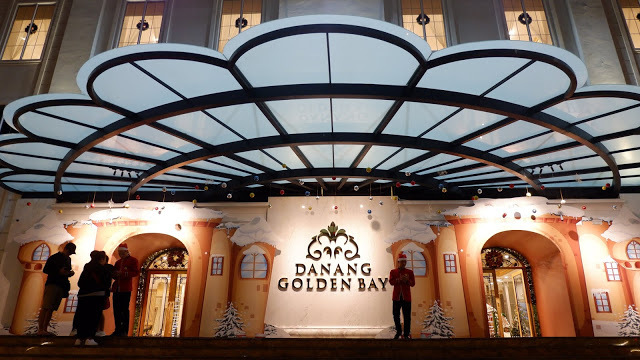 Back to our resort, we walked around at night looking for a place to eat. Along the quiet roads of San Juan at night, we found this place full of people. It was quite popular so we decided to give it a try. The food was really good and there’s a lot to choose from. 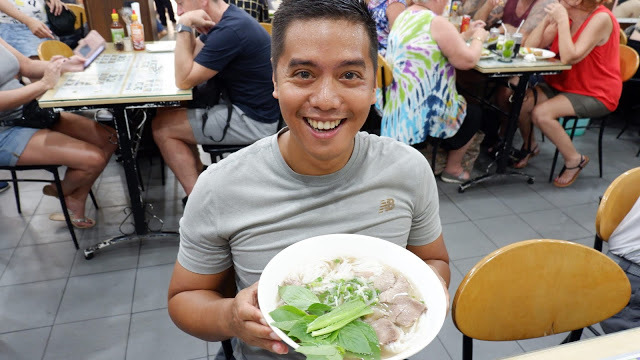 The food was also quite reasonable that why you will also find locals eating here as well. 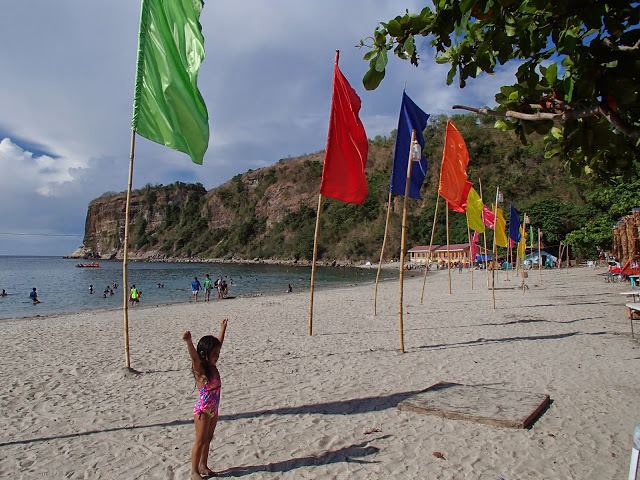 Located in Maria, Salagdoong Beach is one place tourists love to explore. Aside from the clear waters of the beach. 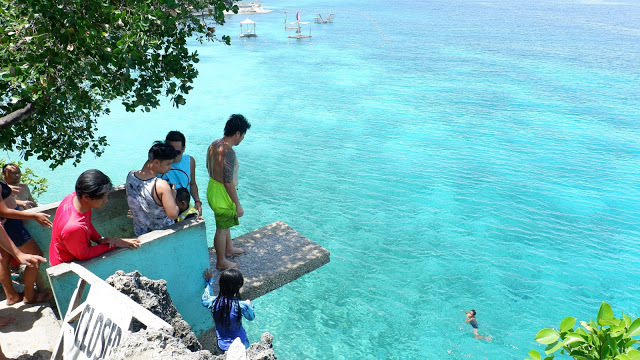 One activity you can enjoy is jumping off the cliff during high tide. They have two platforms to choose from, of course the one is so much higher and perfect for those who want to face their fear of heights. 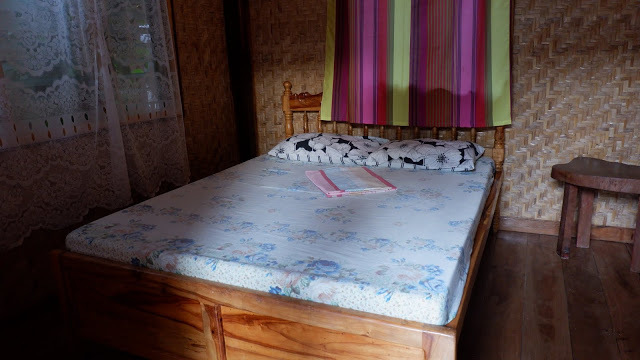 They also have a restaurant and rooms available if you plan to stay in the area. 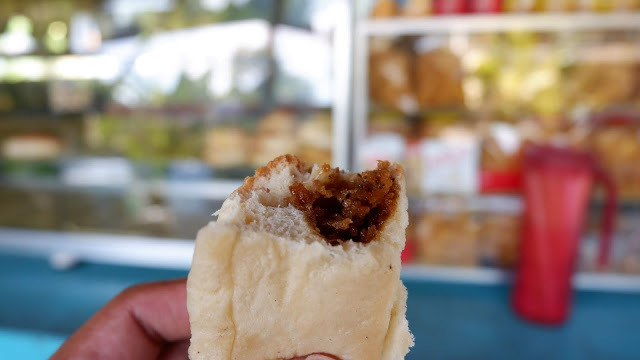 Coming from Salagdoong Beach,one of my friend told me that there is a small bakery which according to him is one of the best places to taste Pandecoco bread. 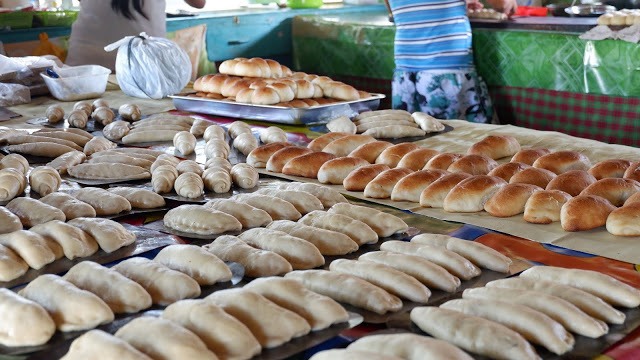 A type of bread with coconut and brown sugar inside. When we arrived, they only had two Pandecoco left … It’s that famous! It was delicious and how I wish I could have eaten more. 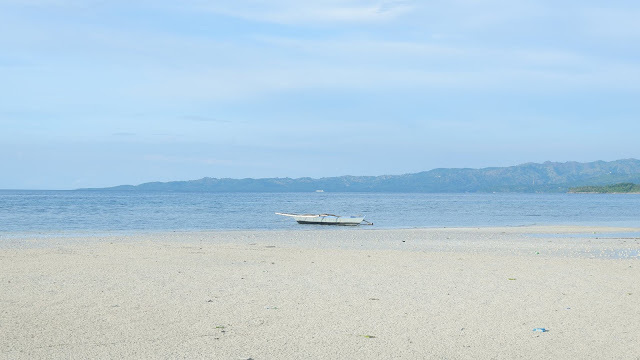 On our way back from Salagdoong, we visited another famous beach destination for it’s white sand beach and stunning landscape. The beach is not far away from San Juan, so a quick stop on this beach is a must. No fees are being collected at this beach. 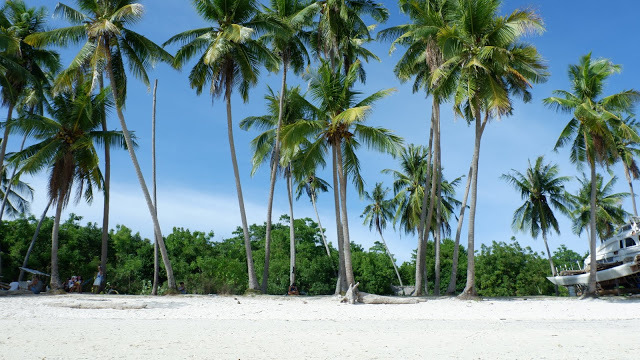 You can just find a spot to picnic or relax under the palm trees. 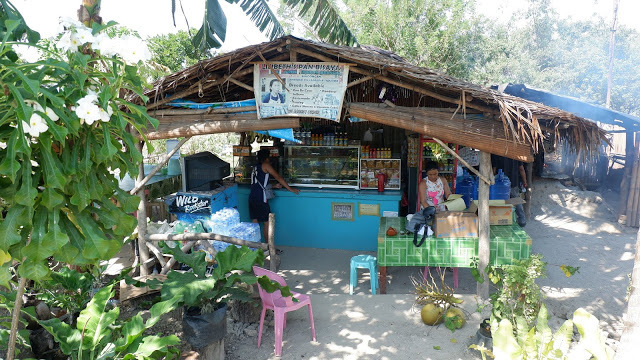 There are also little tuck shops there if you want to get some drinks or eat something. The beach itself was beautiful but it can get busy during weekends. But the sand was super white. I loved it! 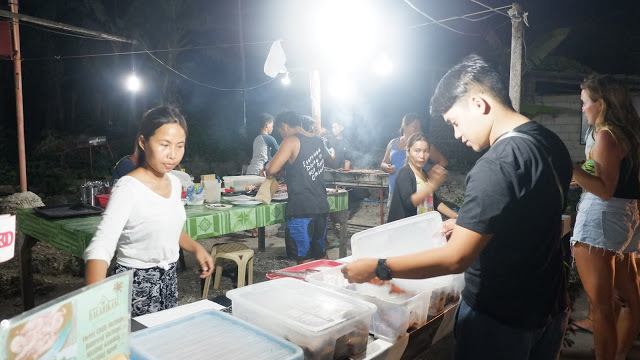 The original plan was to stay for two nights, but due to some planning errors, I ended up staying in Siquijor for three nights which I think was the best error I made – ever! I was able to relax, explore, make friends, get to know more of the culture, the people and so much more. 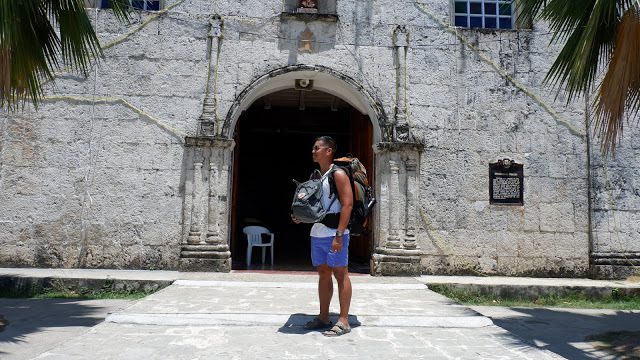 In short, I just fell in love with Siquijor! Wow! Lots of beaches! You had a lot of fun and it shows! Thanks for sharing this experience with us! Its a beautiful place and worth visiting! Pleasure is all mine! One of the most beautiful Island i've seen so far!